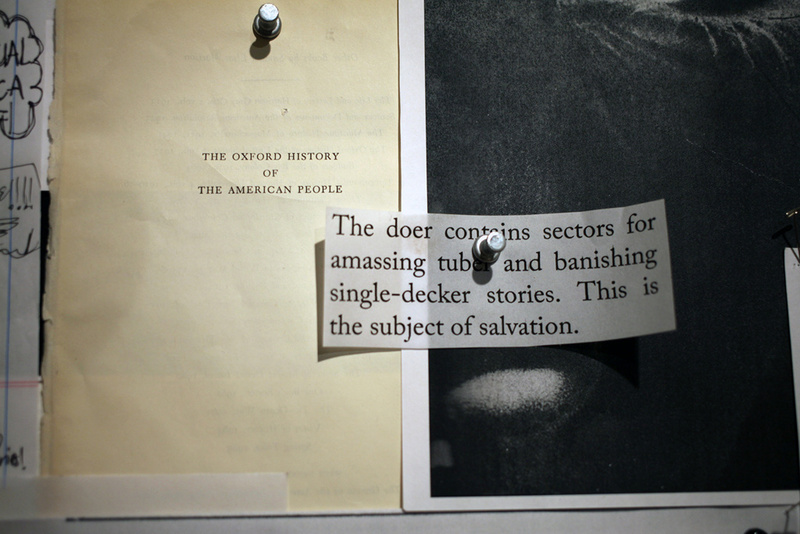 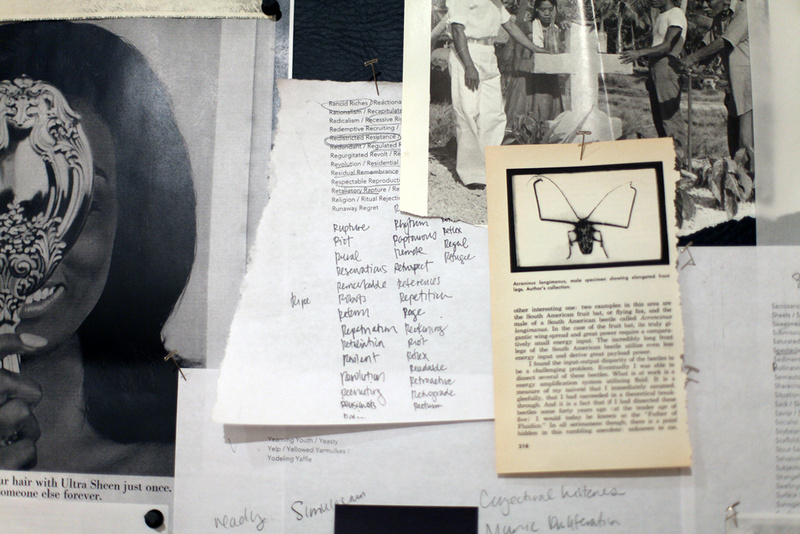 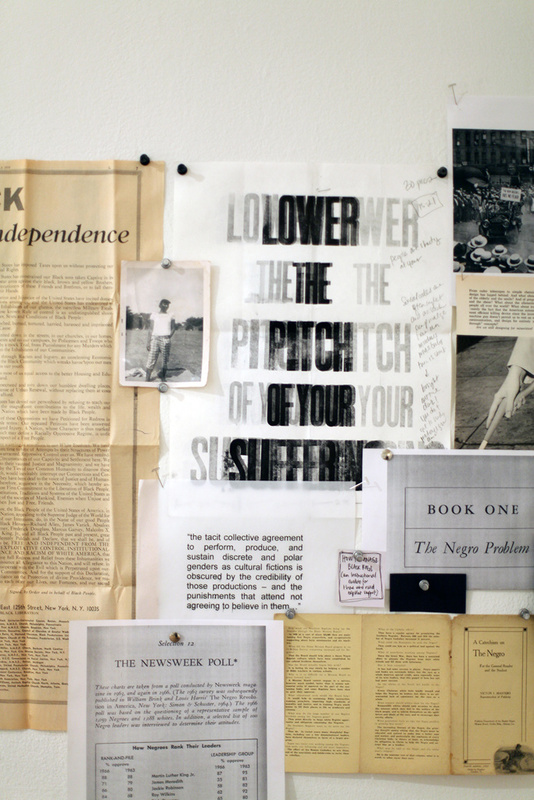 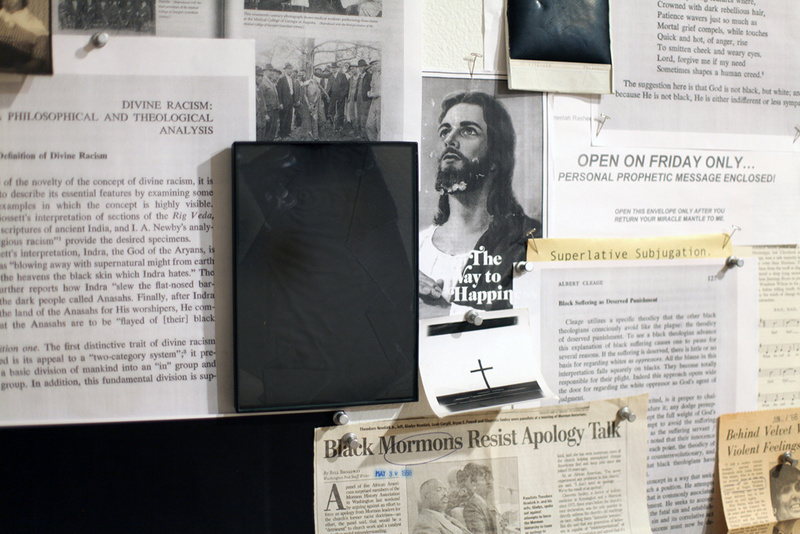 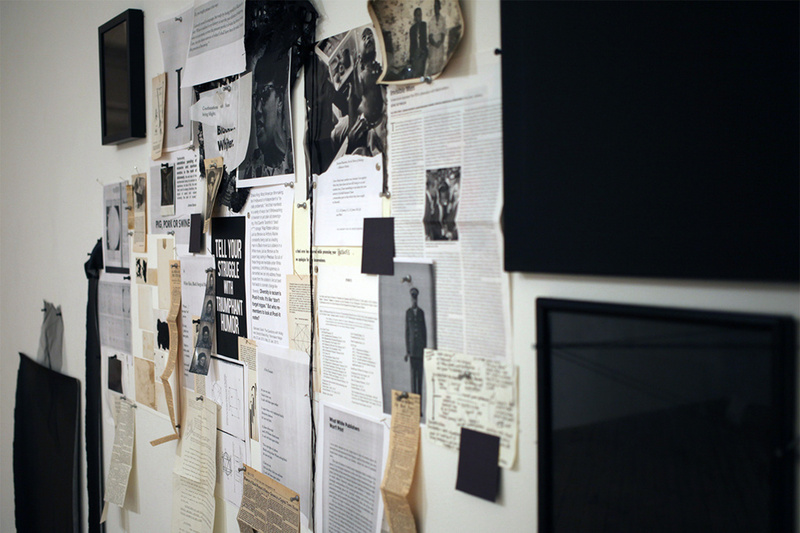 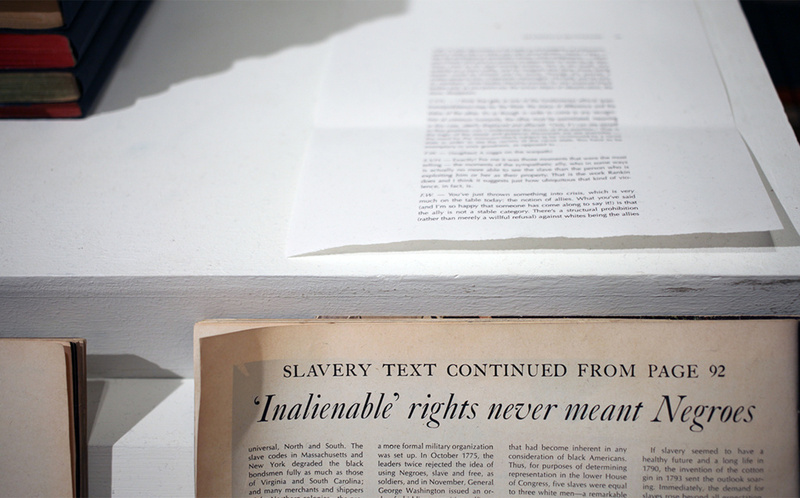 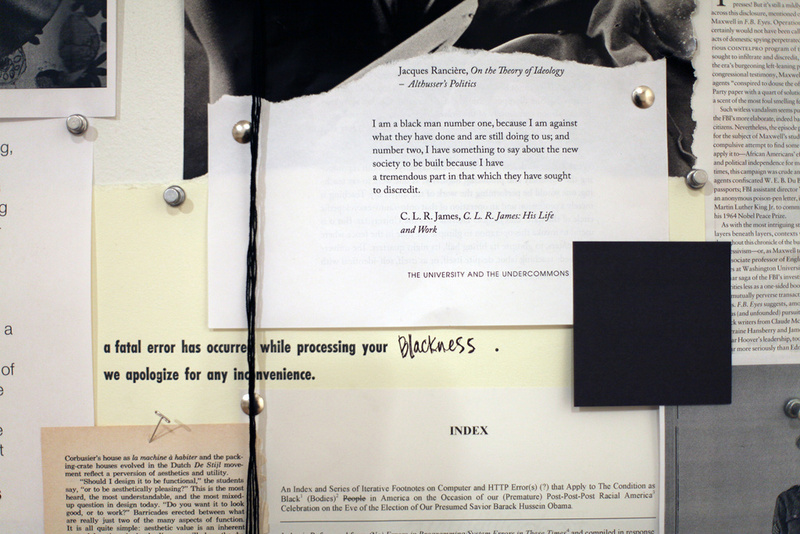 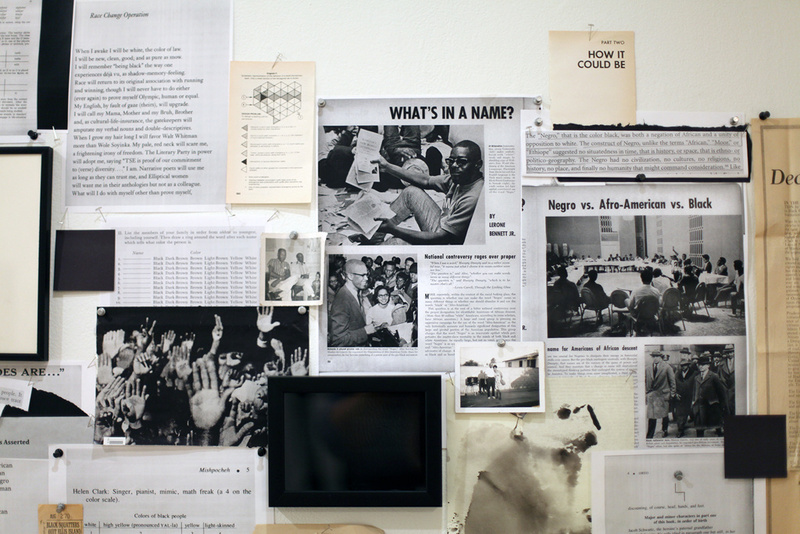 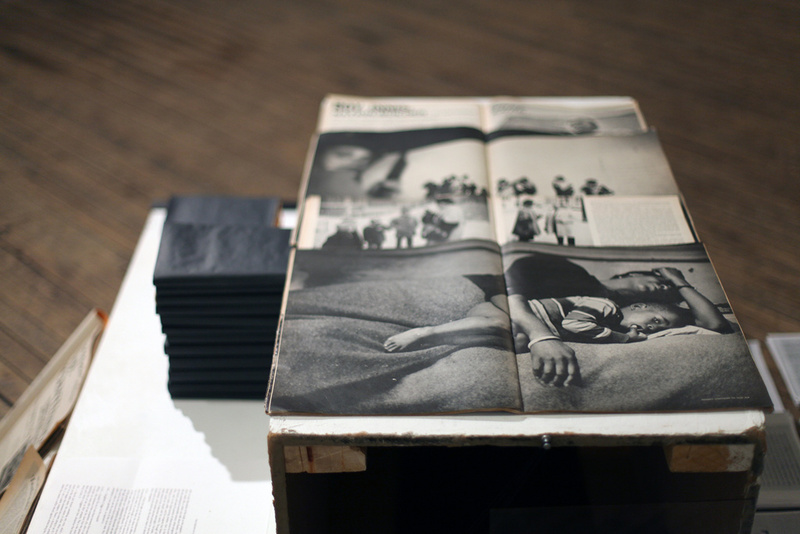 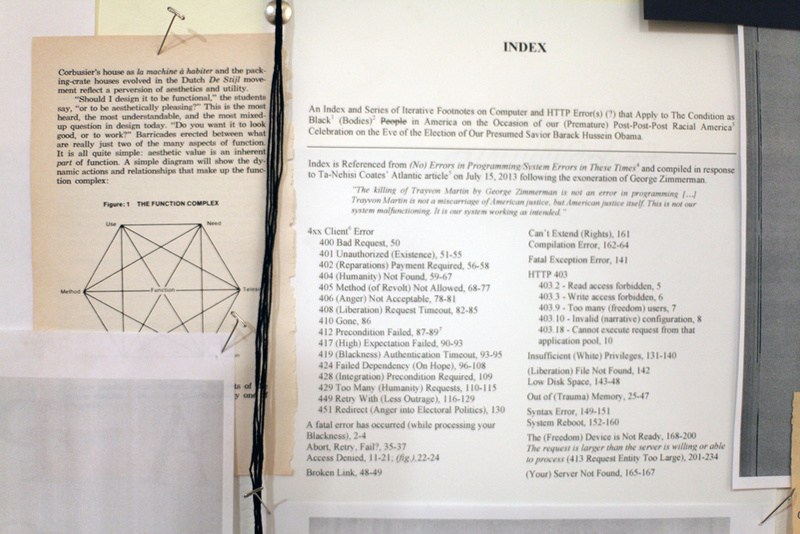 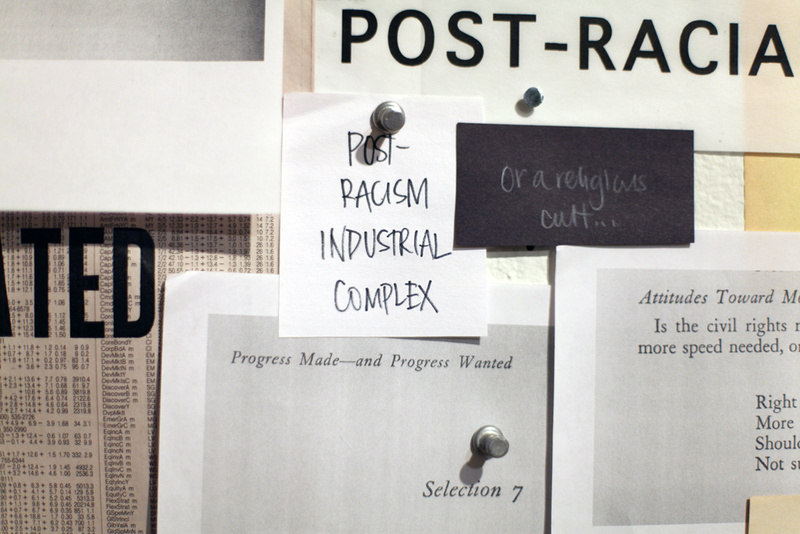 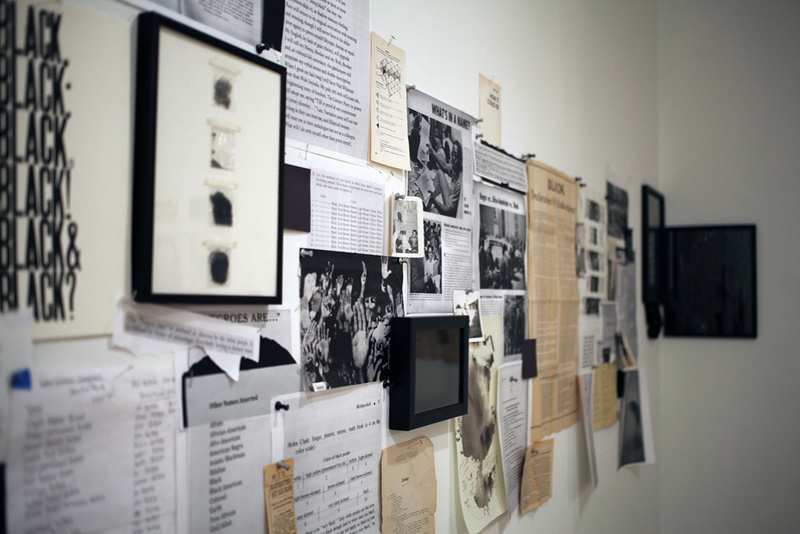 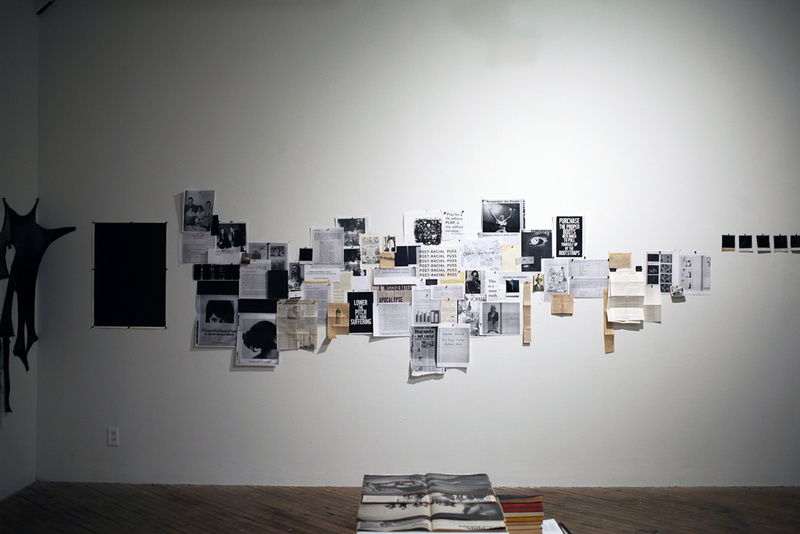 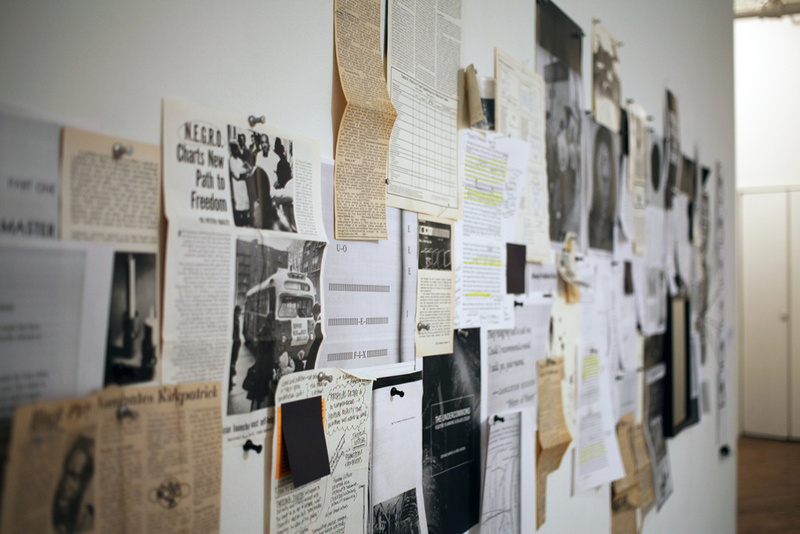 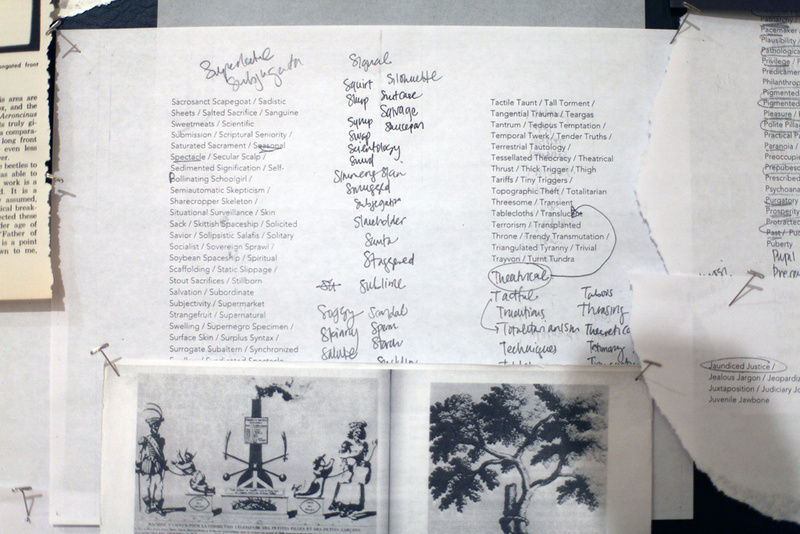 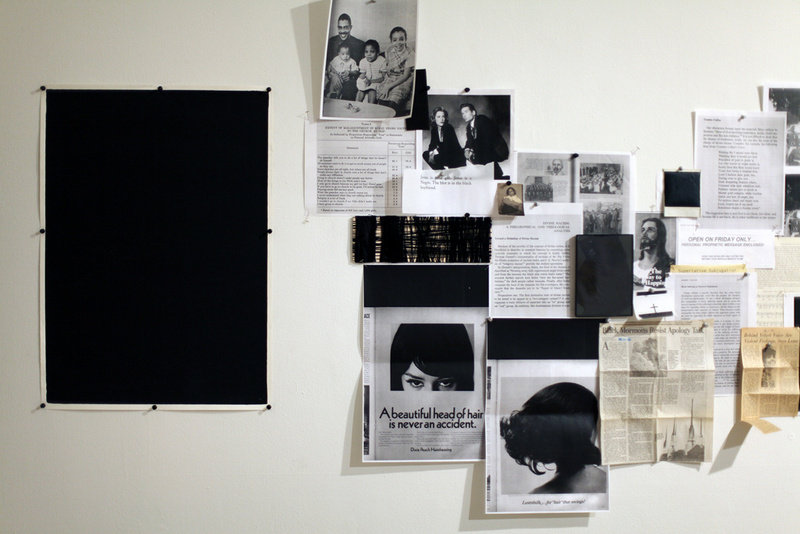 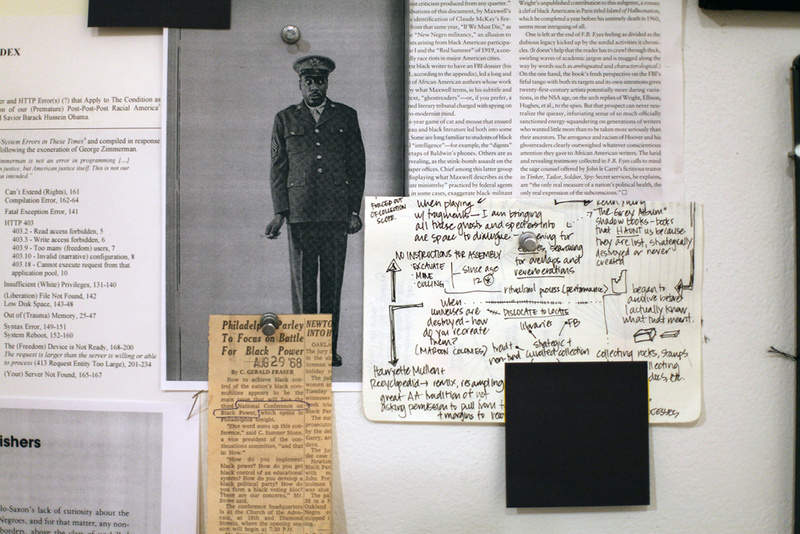 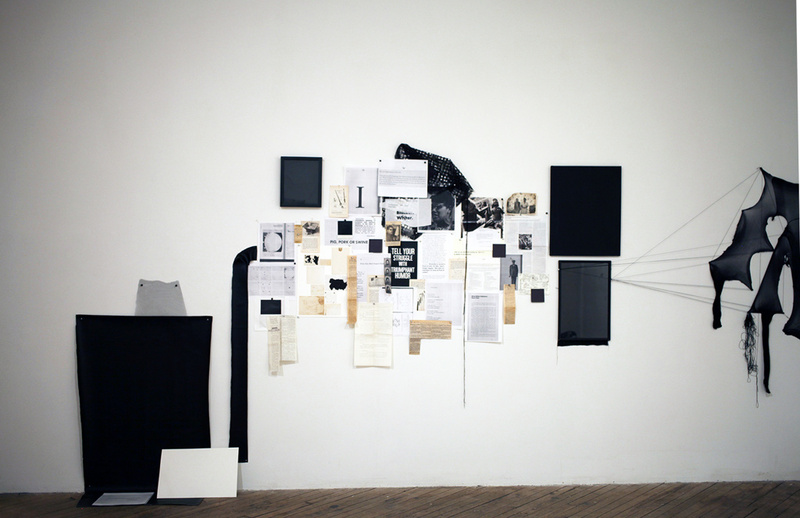 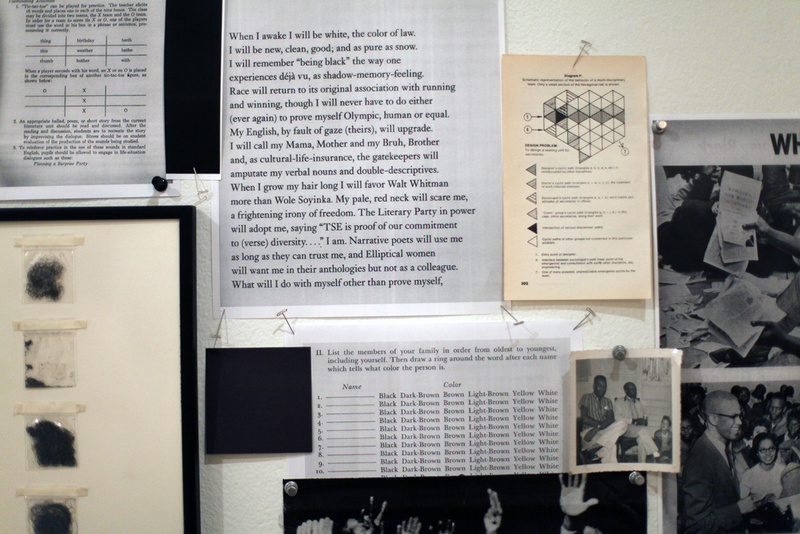 The seventh iteration of No Instructions for Assembly, Activation VII (2015), is an archival installation composed of self-authored texts, original photographs as well as found text, objects and photographs. 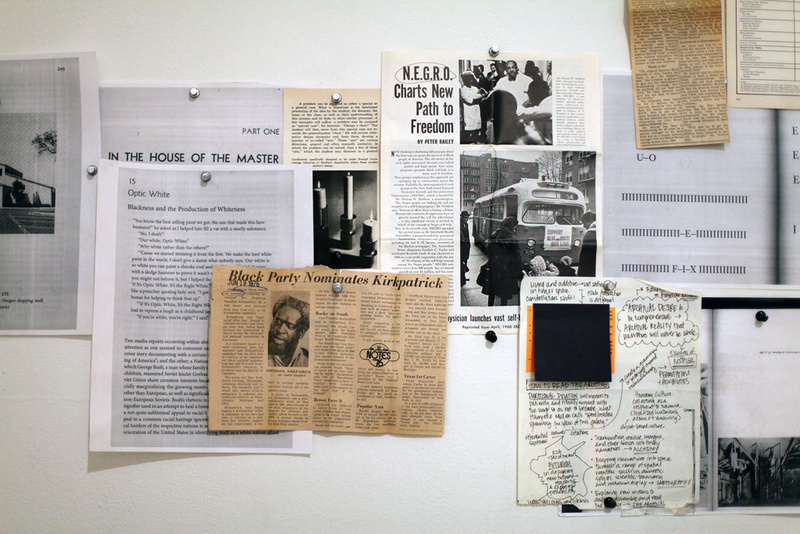 Kameelah Rasheed’s work across all mediums (installations, book arts, texts, photography, audio) explores memory, ritual, discursive regimes, historiography, and archival practices through the use of fragments and historical residue excavated from dumpsters, train station floors, institutional archives, eBay, flea markets, spam email folders, televangelists commercials, academic journals, poetry etc. 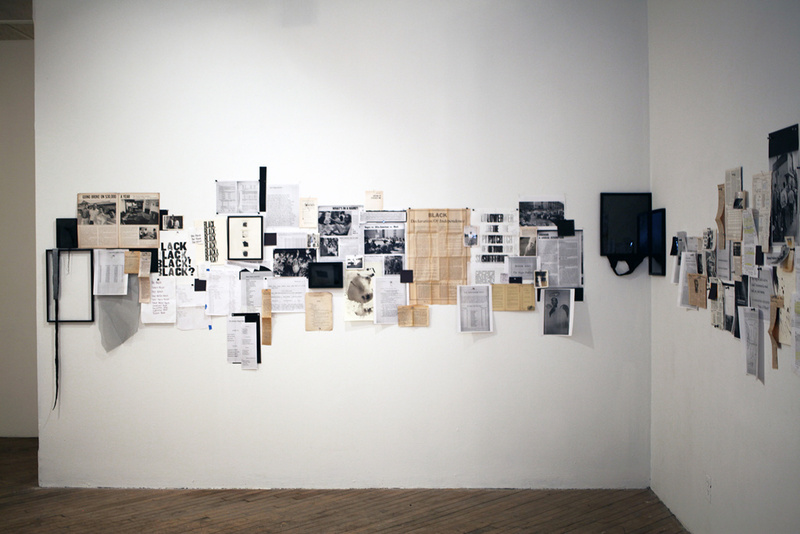 These excavated objects operate as ghosts—the past showing up in the present refusing to leave and instead begging for another temporal stage on which to perform. 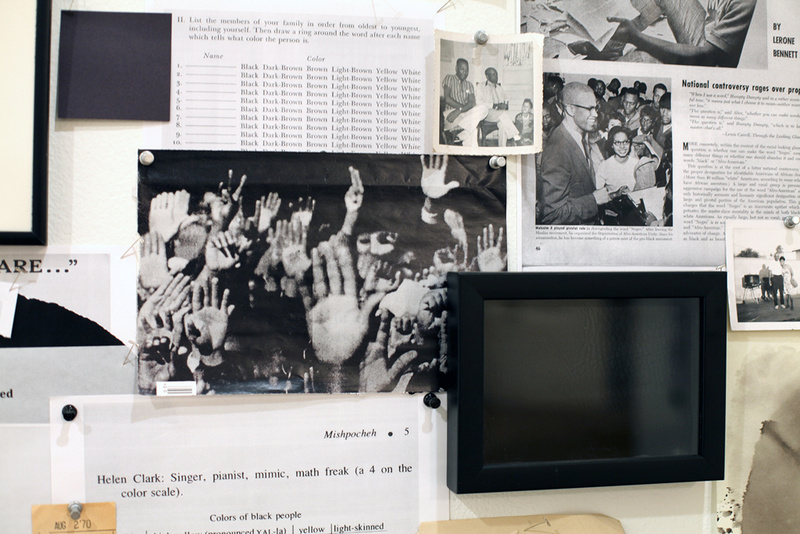 Rasheed’s work is that temporal stage on which juxtaposition, repurposing, and reimagining of existing material culture is a means to choreograph new narrative possibilities and futures. 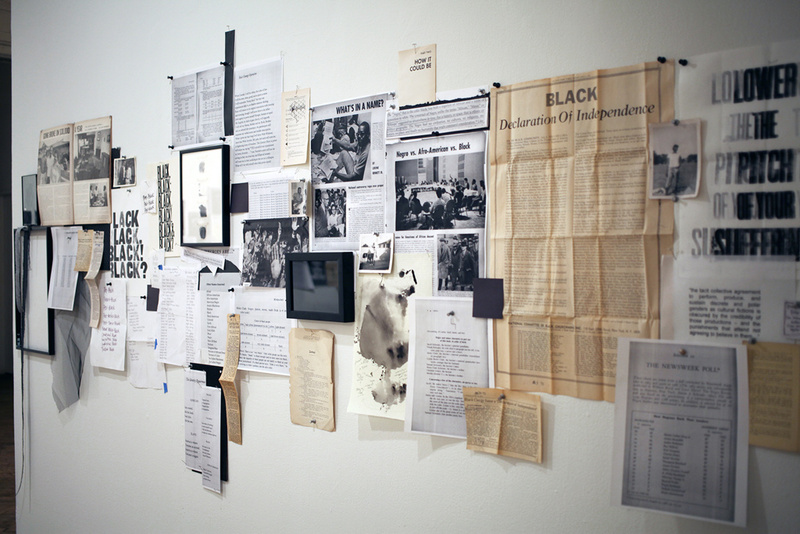 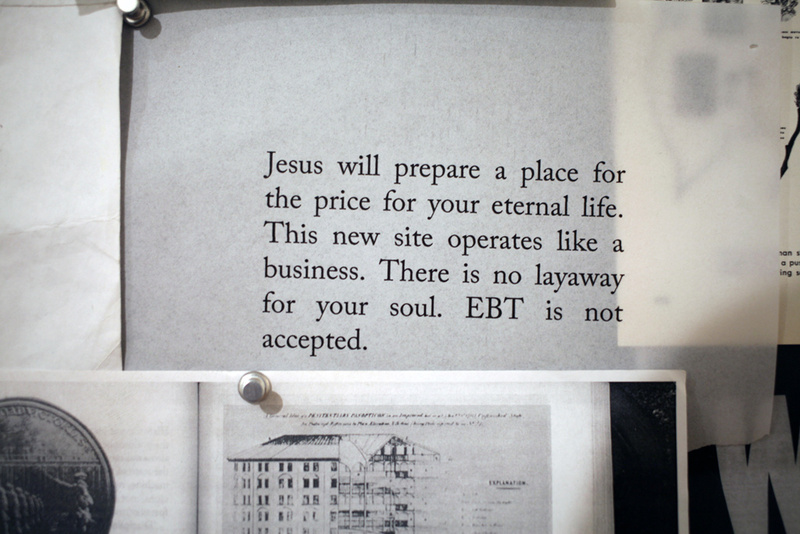 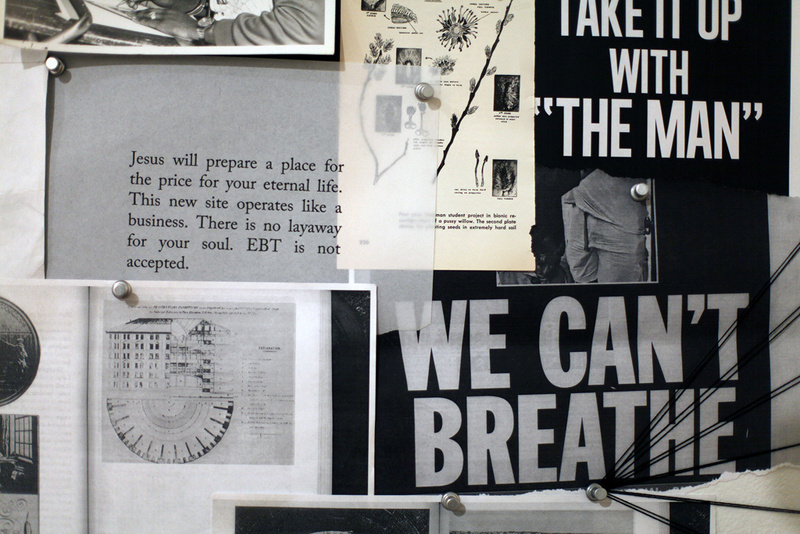 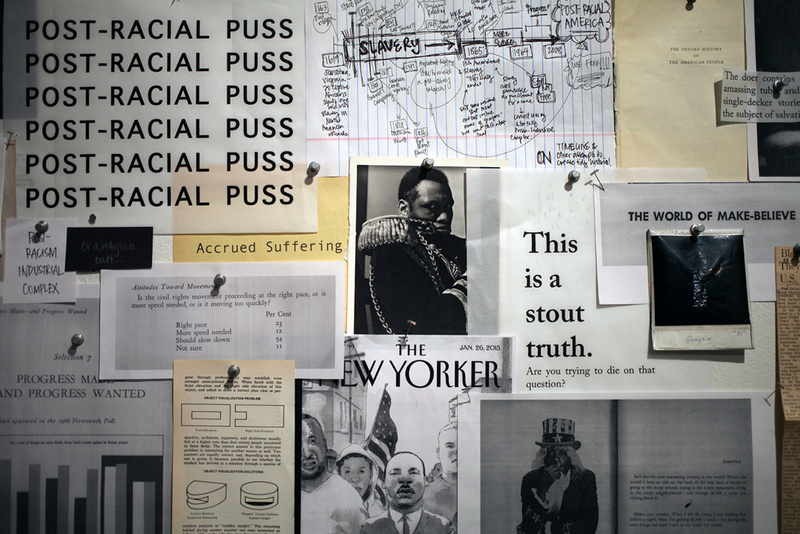 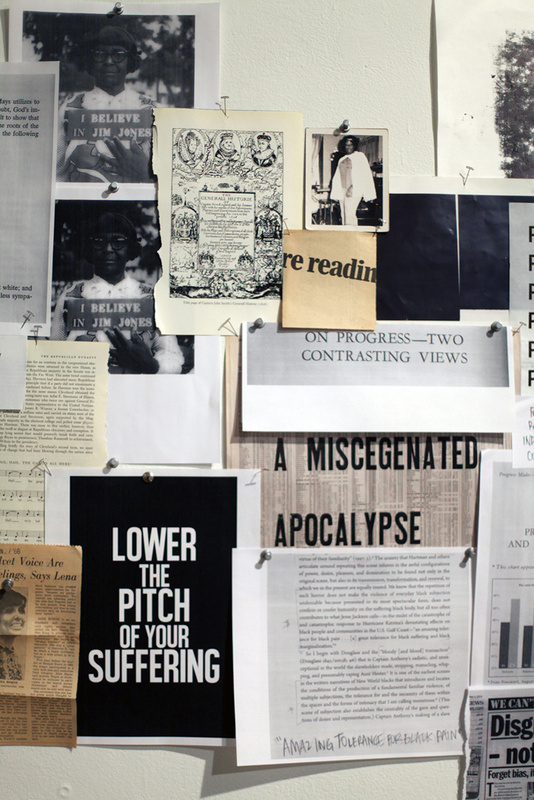 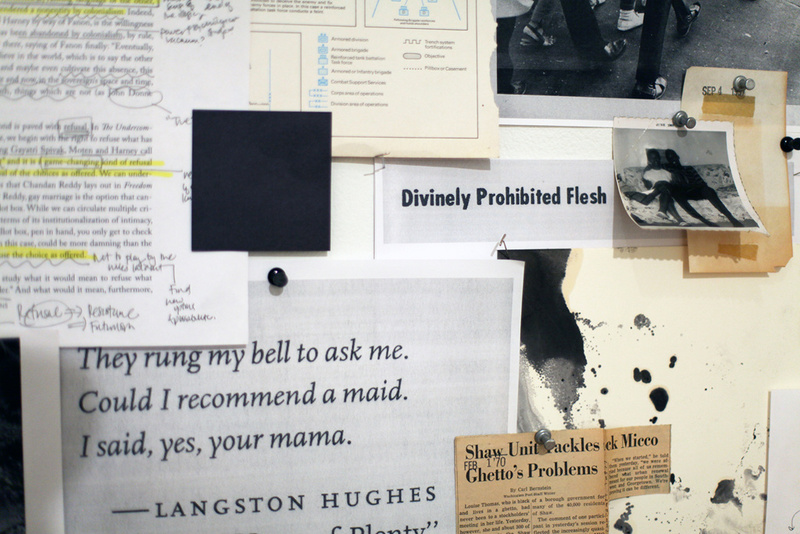 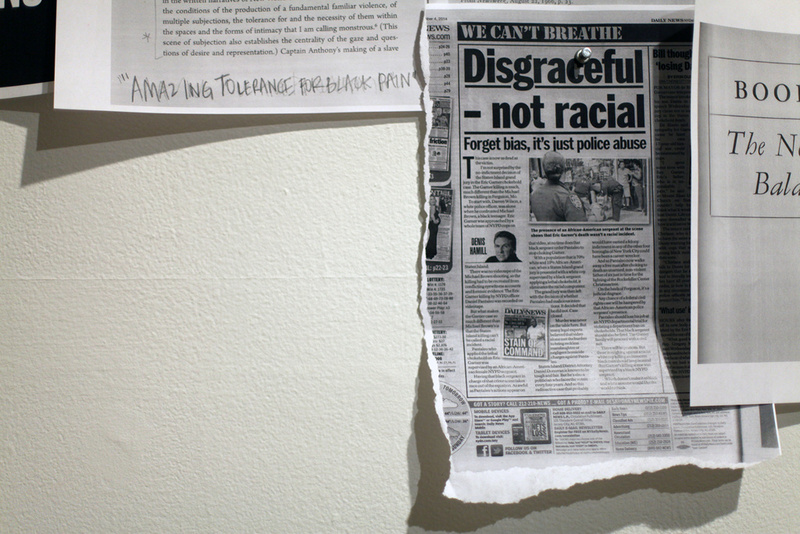 Kameelah Janan Rasheed (1985) is a Brooklyn artist-archivist whose work across interdisciplinary work is concerned with memory and ritual. 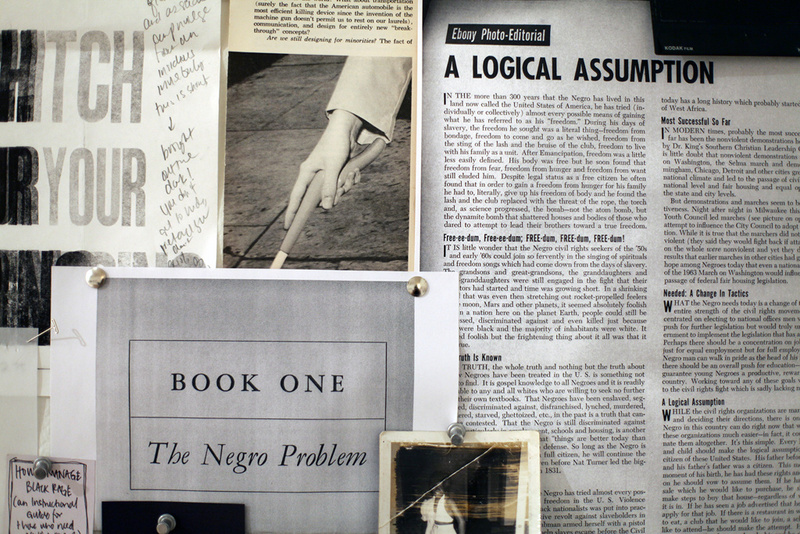 An Amy Biehl U.S. Fulbright Scholar to South Africa, Rasheed holds an Ed.M from Stanford University and a BA in Public Policy from Pomona College. 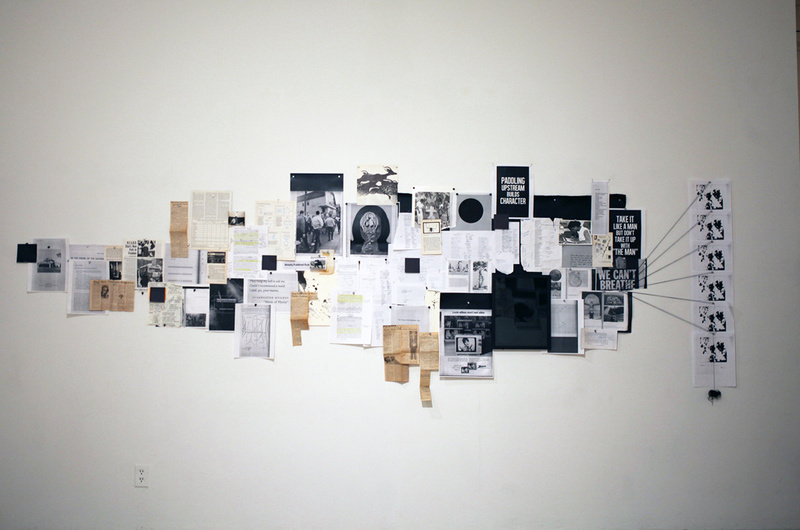 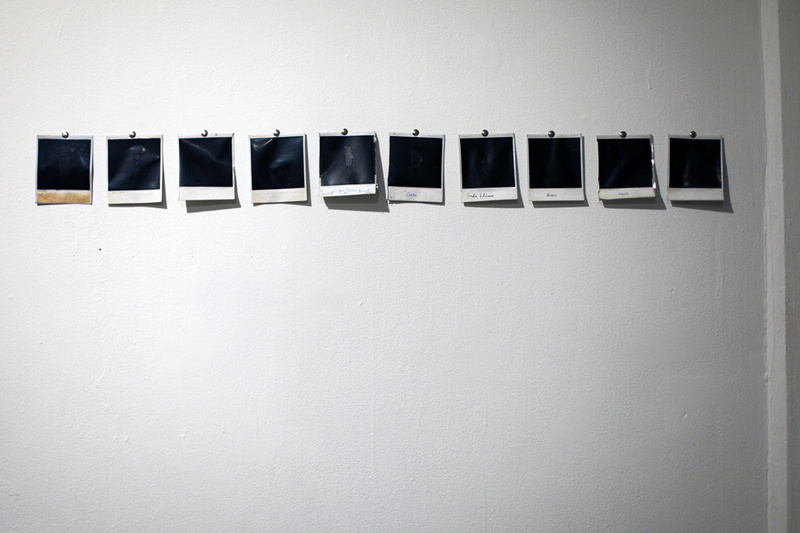 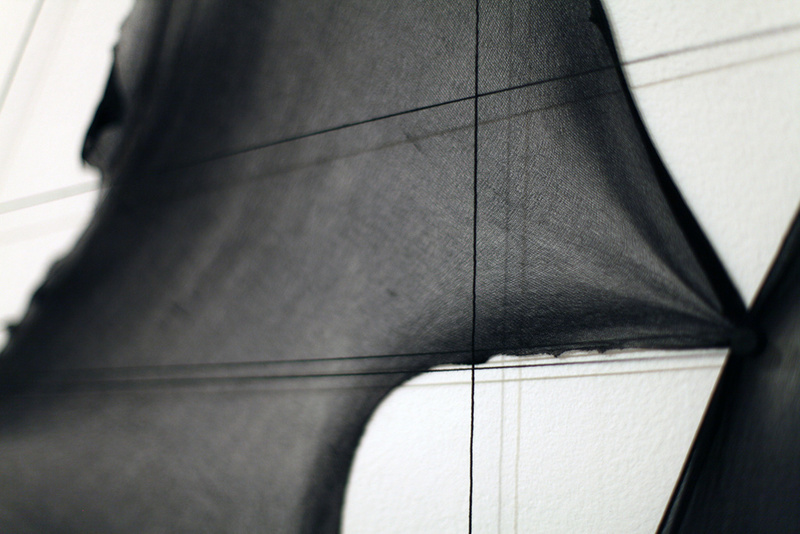 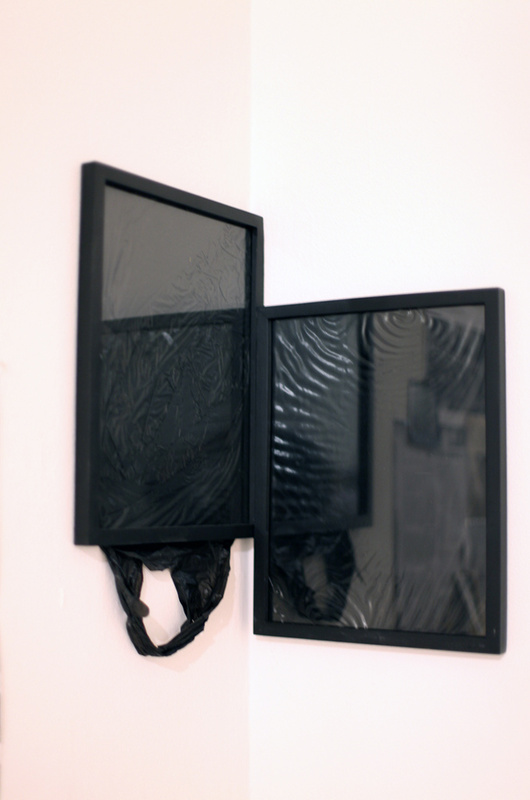 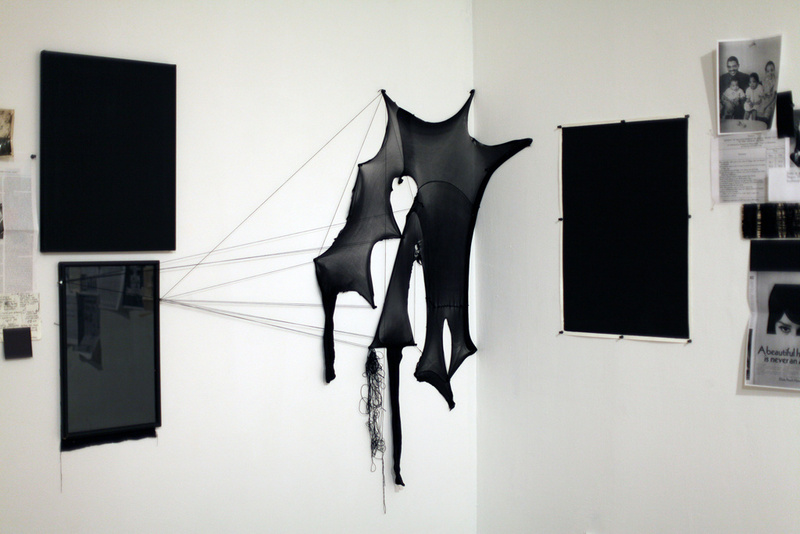 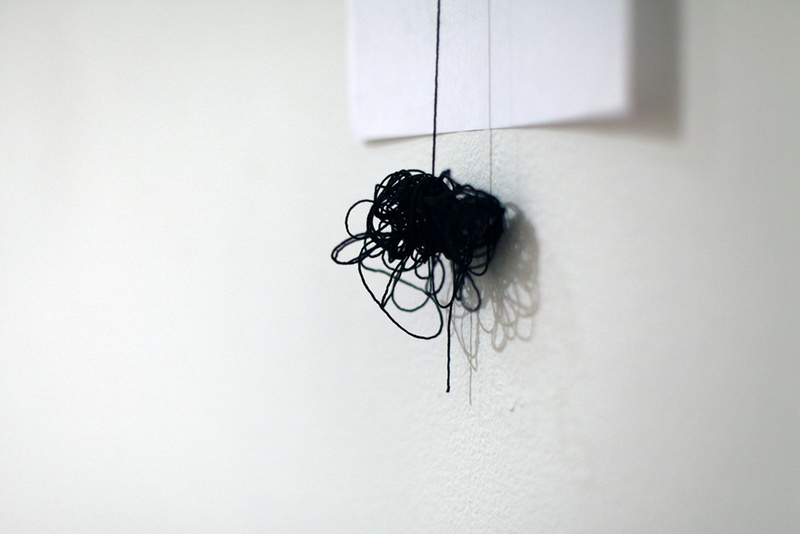 Her first solo installation, No Instructions for Assembly debuted in 2013 at Real Art Ways in Hartford, CT. 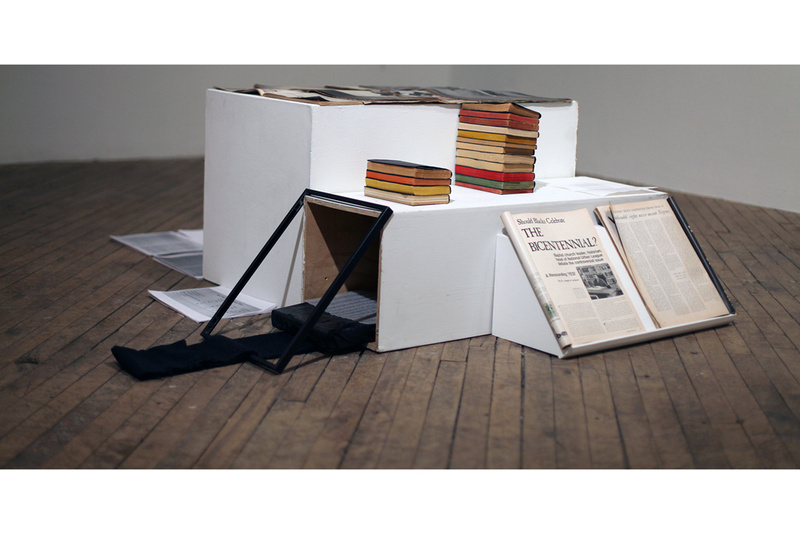 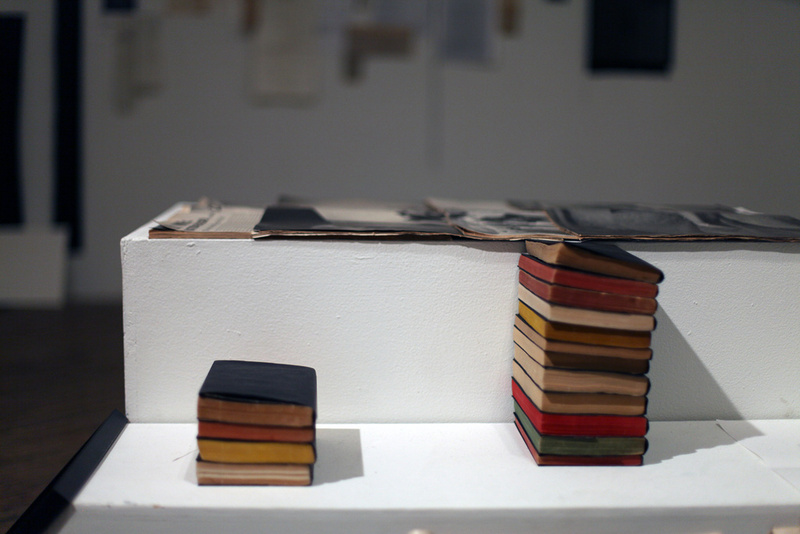 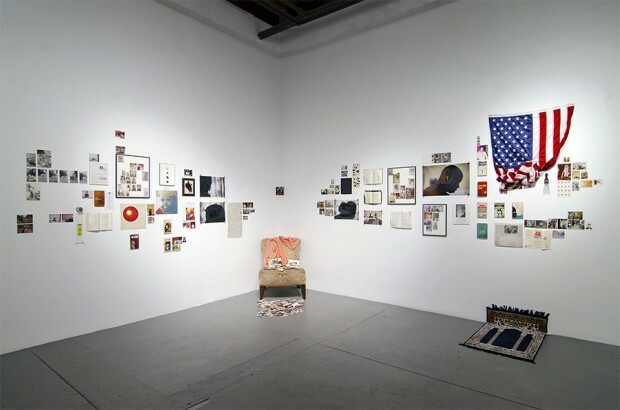 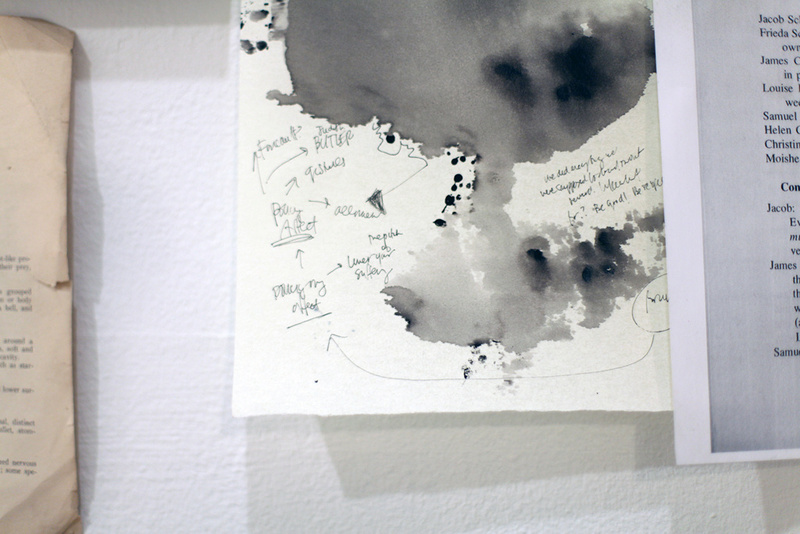 Honors include: 2015 (Jerome Fellowship-Queens Museum, Process Space LMCC Resident, AIM-Bronx Museum), 2014 (Art Matters Grant, Rema Hort Mann Foundation Grant, Vermont Studio Center Resident, Working Classroom Teaching Artist), 2013 (Center for Book Arts Resident, The Laundromat Project Fellow, VAN Exhibition Residency, VAN Community Fund Grant), and 2012 (STEP UP Artist Award, Center for Photography at Woodstock Resident). 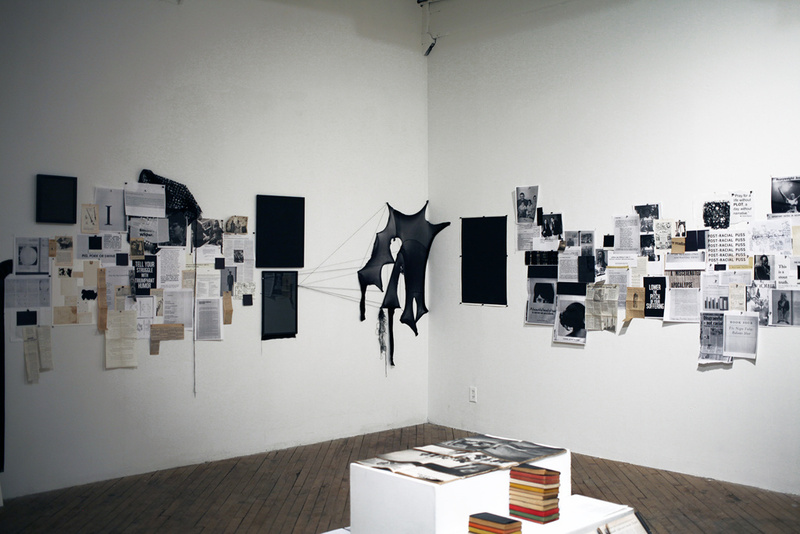 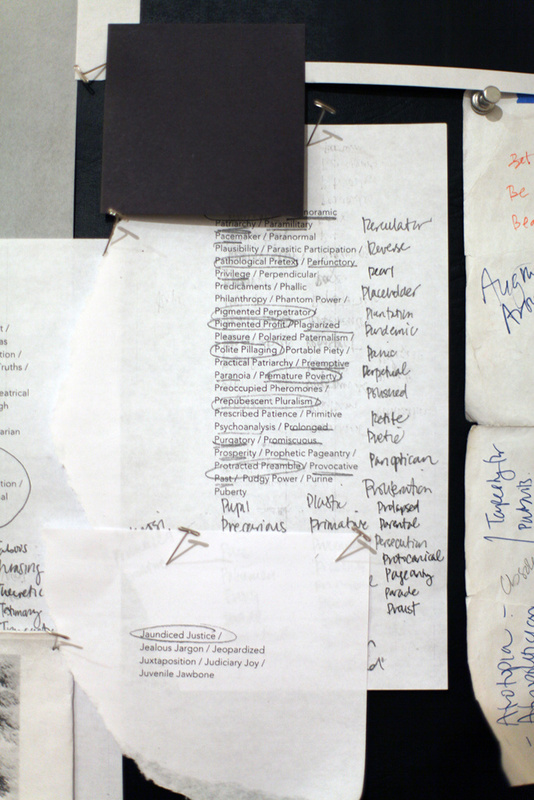 Her work has been written about in the NYT, WSJ, ArtSlant and Hyperallergic. 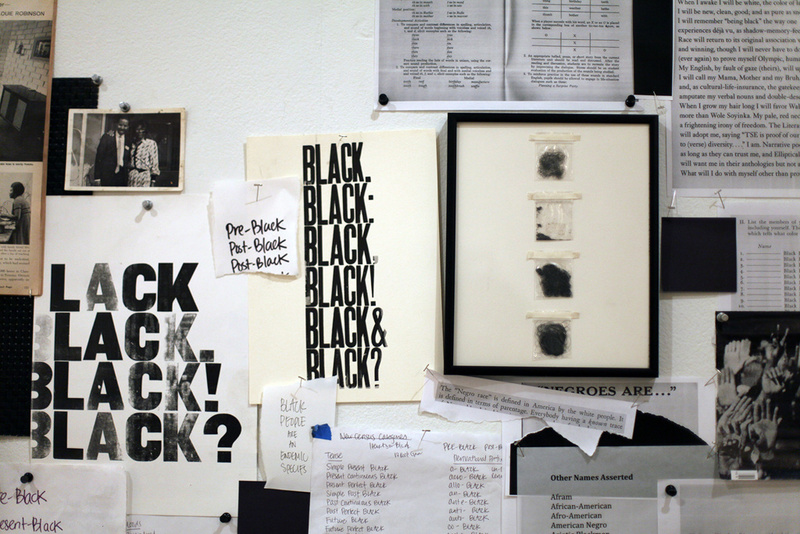 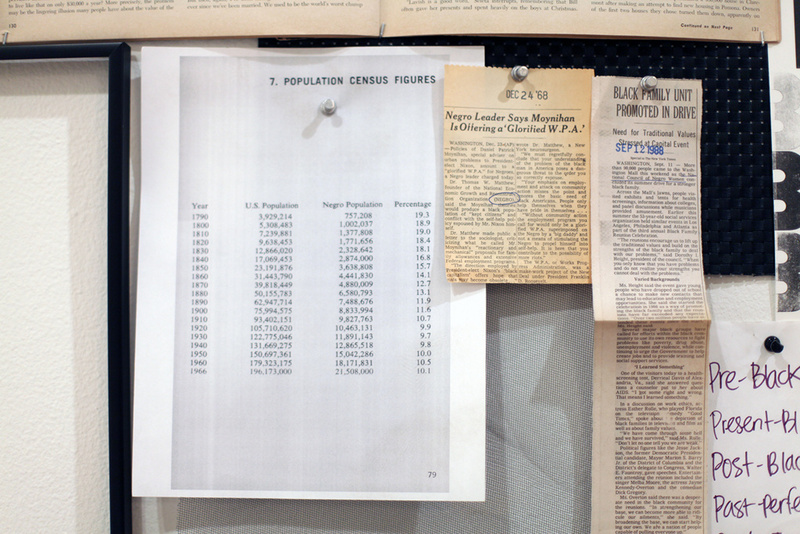 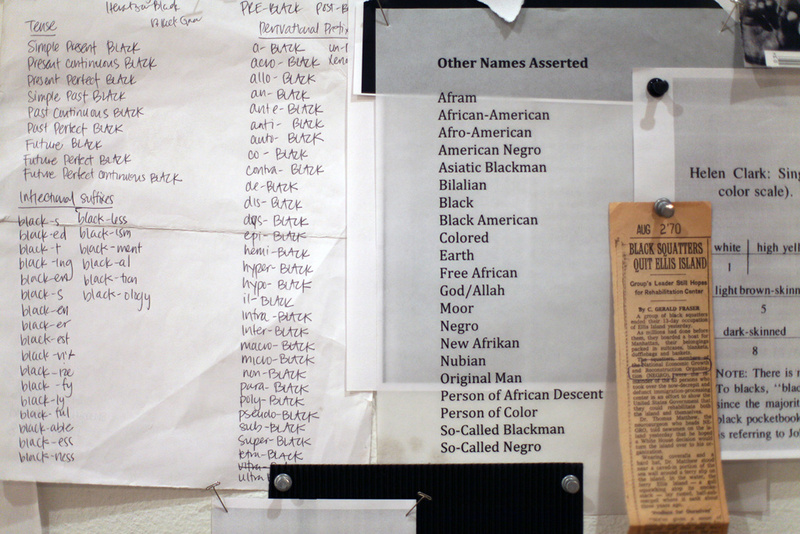 Rasheed has spoken at the Brooklyn Museum, Queens Museum, Christie’s, MoCADA, Schomburg Center for Research in Black Culture, Center for Book Arts and Residency Unlimited. 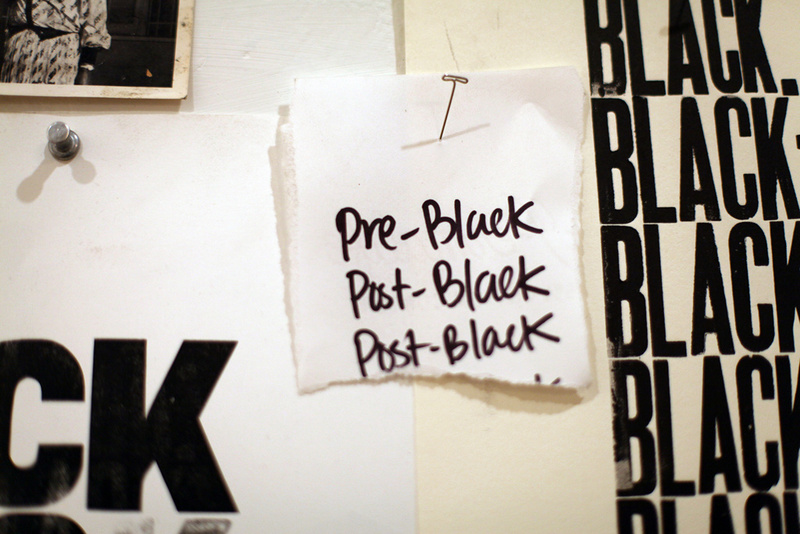 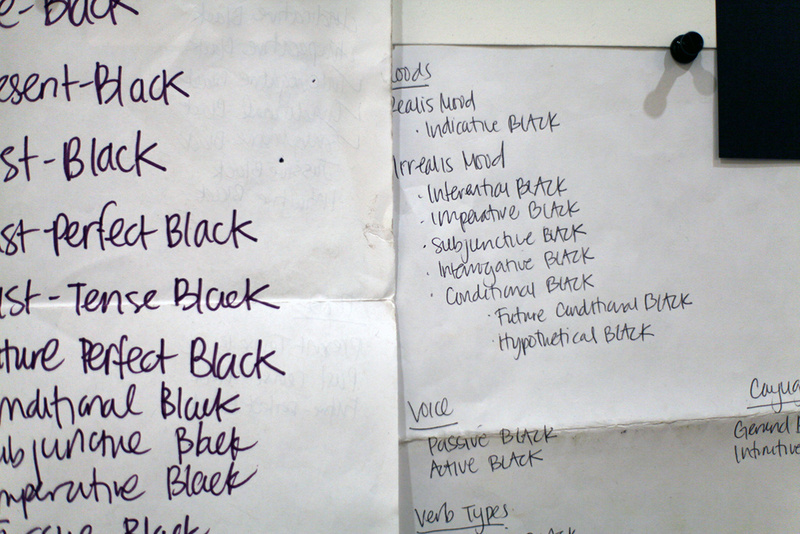 Her writing has been published in The New Inquiry, Gawker as well as Longreads and featured on the Creative Time Funk, God, Jazz, and Medicine: Black Radical Brooklyn’s radio station, OJAK Radio. 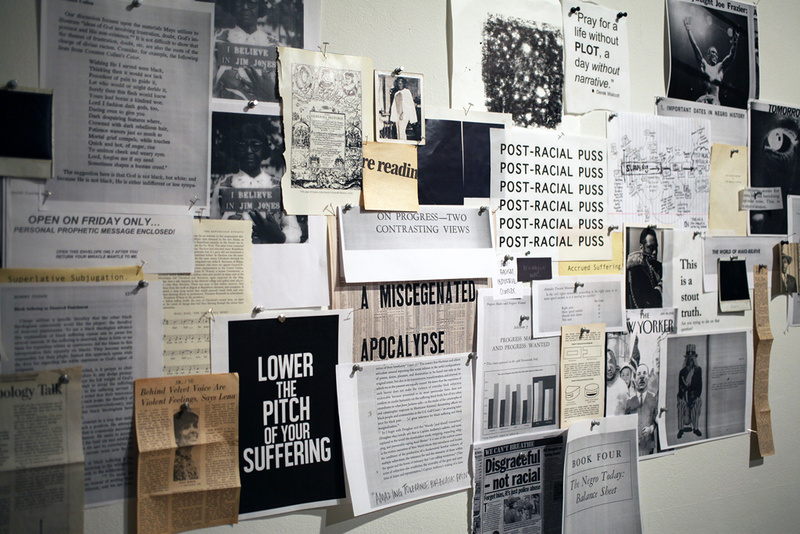 Currently, she is the Arts Editor for SPOOK Magazine.